When introducing a figure like Coyote Carlos, it’s easier to start by listing off the things I don’t know about him. He’s a mysterious character, to say the lease. I don’t know how old he is (he’s given me age ranges from 21 to 876 at different times). I don’t really know where he comes from (his answers are invariably vague: “the woods” or “the hills” or “the other side of the veil”). I can’t even tell you for sure if we should trust him or not (there are countless legends that weigh in on both sides of that debate). What I can tell you for certain is that he loves to talk; more specifically, he loves to tell people how to live. Where a (most likely) mentally ill coyote gets off telling we humans how to live, I have no idea. I’m not endorsing all of his claims, advice, or views, but I’m presenting them to you readers as a truly one-of-a-kind, exclusive holiday-season treat. Whoever he is, whatever he may be, and whether or not we can believe anything he says, to have Coyote Carlos as a guest blogger at the Wizard of Monadnock as a rare honor indeed. 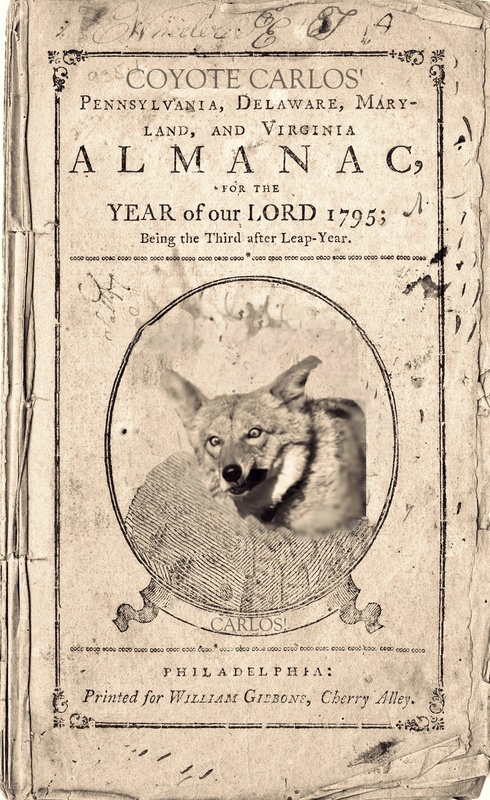 For your pleasure, starting over the next few days, I will be reprinting what Carlos claims are pages from an almanac he’s been privately publishing annually for some undetermined amount of time. His 10-part listicles cover a wide array of topics and contain both original aphorisms and quotes he has collected along his many journeys – but don’t expect him to tell you which is which. Watch out tomorrow for his debut – it’ll be the best hundred and twenty seconds of your Friday. I’ll add one last thing – Coyote Carlos isn’t a fan of criticism (though he has a mildly favorable opinion of praise), but I am. Got a comment on any of Carlos’ quotes? Let us know! Want me to ask Carlos if his secret almanac has a listicle for a favorite topic of yours? Put it in the comments section or contact me using the medium of your choosing. Let’s all give this cryptic and mischievous visitor the warmest of welcomes! Next Post Coyote Carlos’ Top 10 things you need to know about health!